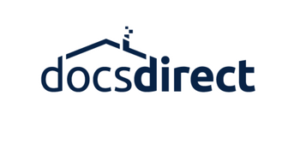 October 3, 2018 – DocsDirect, a nationwide residential mortgage document provider, is pleased to announce its integration with eOriginal’s digital mortgage solution. As a result, DocsDirect will be able to introduce a wide range of electronic closing solutions to their customers, while enabling the improved management of the eNote from execution through sale into the secondary markets. With growing adoption, digital mortgage is delivering a competitive advantage and operational efficiencies that cannot be obtained through paper processes. The real estate finance industry is witnessing the value of digital closings and the benefits of speed and capital efficiencies in a competitive purchase market. eOriginal’s technology is designed to provide clients with an enhanced experience, bringing greater scale, efficiency, and accuracy. The solution delivers a fully digital mortgage that meets regulatory requirements and is accepted by top lenders, the government-sponsored enterprises, and other stakeholders across the mortgage ecosystem. DocsDirect specializes in residential mortgage document preparation, regulatory compliance and fulfillment services nationwide. DocsDirect interfaces with leading loan origination systems such as Ellie Mae Encompass, Calyx Point as well as any MISMO compliant system. Founded in 1989, DocsDirect has a long history of providing superior customer service to the mortgage industry by expertly adapting to new technological advancements and regulatory changes.